We have been doing a lot of DIY in the cottage renovation and a lot of you asked about this in my DM’s on Instagram so here is a quick reference post with all the details. 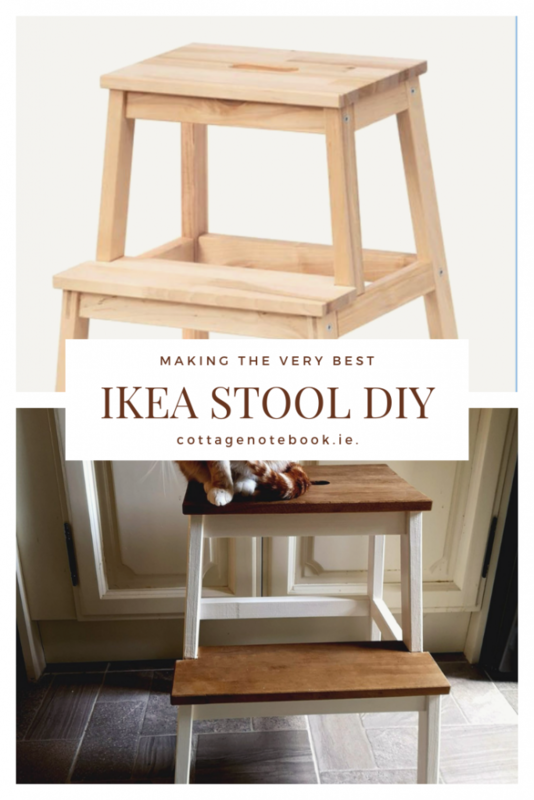 The stool is the €10 euro Ikea BEKVÄM stool. I would suggest giving this a quick sand if you are going to paint or stain it like I did. Also paint it BEFORE you put it together. I used Colourtrend paint in satinwood colour- French Grey. This is the colour that we choose to do all the woodwork in the cottage so the stool now matches every room in the house. 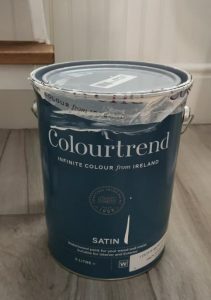 You can find out all about Colourtrend over here and yes it is an Irish paint company! I absolutely love their paint, especially in period properties. Their heritage range is beautiful. With the steps taken apart, I painted the frame with two coats of satinwood with drying time in between. I didn’t add a primer as I didn’t see a need for one. The wood was bare and untreated. For the stain, I used Rustins Wood Dye in Dark Oak. I purchased it from our local hardware shop as I like to support local as much as possible. It is readily available though and is a pleasure to use. To add the stain to the steps, I just followed the directions on the container and used an old rag and gently rubbed the stain across the steps. I allowed this to dry and then rubbed on another layer to darken the shade. 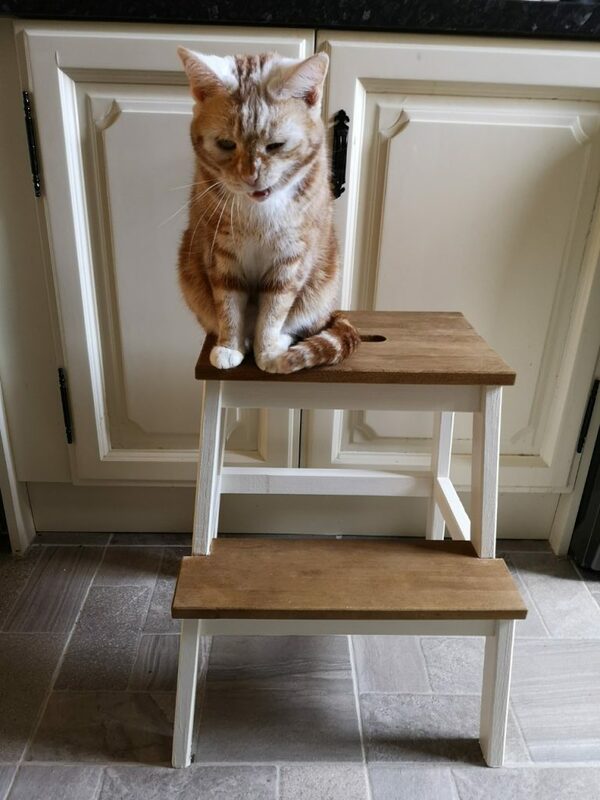 And ta-da a ten euro step stool gets a dramatic makeover in an evening. It’s so easy even toddlers can do it. (Please note: I am a good parent they were not present during staining but they did paint the back of the frame legs as they were really interested in what mammy was doing). I tried to take a professional photo but all attempts were photo-bombed by Mollie so I just gave up in the end and submitted for cat cuddles. Yip if she gets to photobomb me I get to post questionable photos of her online!